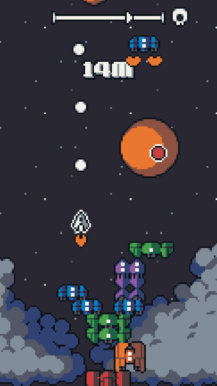 If you've ever played the classic arcade game Space Invaders, the general concept of shooting any and all enemy spacecraft should sound familiar, and that's exactly what you'll be doing in Galaxy Stack. What makes this release unique is that the ships you shoot down will stack on top of one another as they fall towards the ground. Your goal is to create the highest stack of ships possible while avoiding the many projectiles of your enemies. 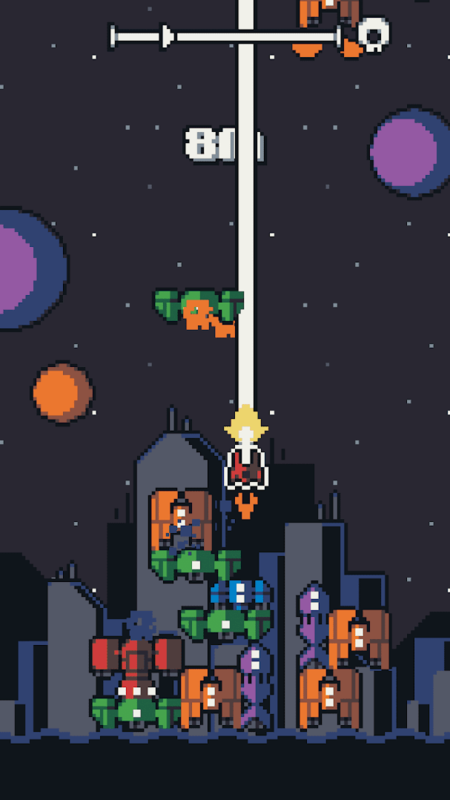 It's a simple setup that mixes two familiar genres into one enjoyable game. The touchscreen controls work well. All you have to do is slide your thumb on the bottom of the screen, and your ship will move in a similar direction. If you lift your thumb, the entire game will slow to a crawl, which gives you time to suss out your maneuvers before you take action. This is a feature commonly used in mobile shmups, and you can use it to your advantage in this release since you'll want to line-up where the enemy ships fall to maximize the height of your tower. Galaxy Stack is a premium release, which means you can pick it up for $1.99 off the Play Store. There are no advertisement or in-app purchases included. On top of the fair pricing, you'll also have access to a few Google Play Games Services, such as a leaderboard and achievements. 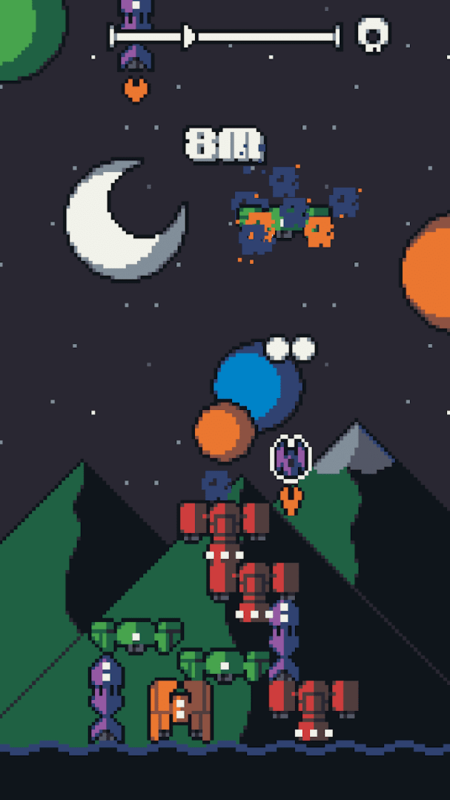 If you enjoy shoot 'em ups and falling-block puzzlers, then you're going to want to check out Crescent Moon's Galaxy Stack. The pricing is on point, the gameplay is enjoyable, the controls are spot on, and the pixel-based graphics are rather inviting. 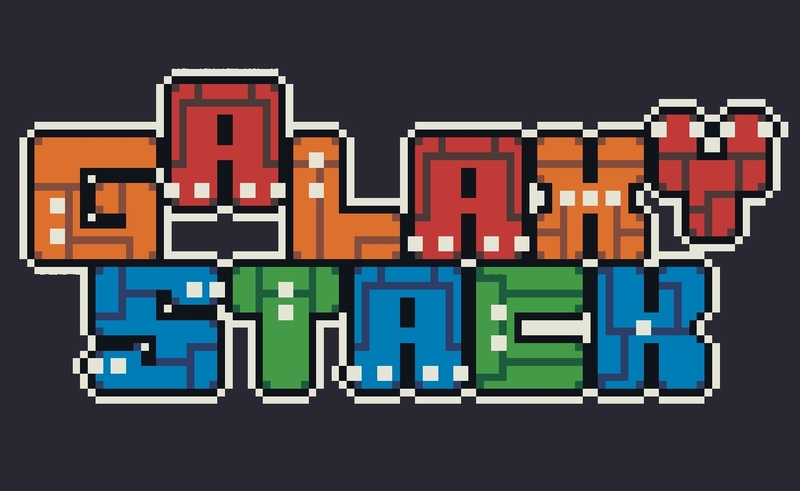 There are actually good mobile games out there folks, and Galaxy Stack is one of them.